It's soon to be the new year, and, if you're a committed bagel and/or bagel-hybrid connoisseur, you know what that means: the latest monthly Black Seed Bagel hybrid collaboration. This time, it's with pan-Mediterranean restaurant , based in Brooklyn's Dumbo neighborhood—and the results? 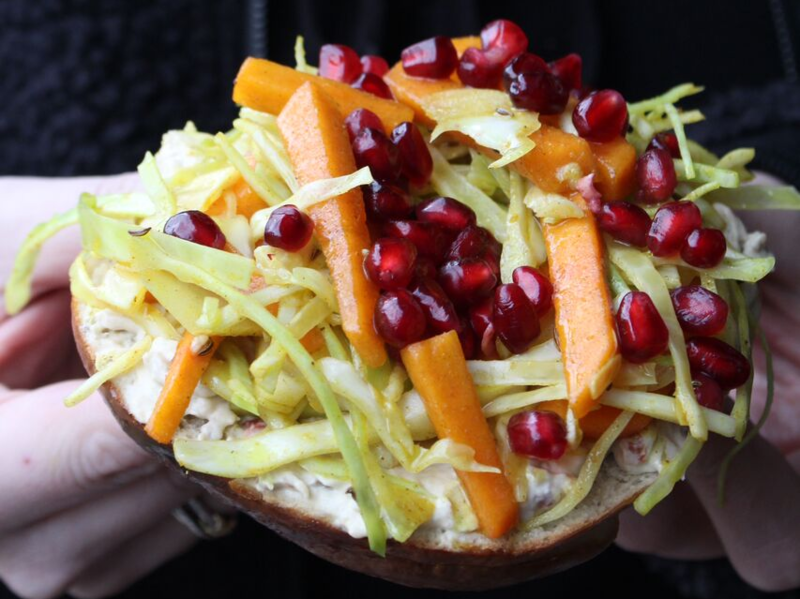 Known as the Celestine bagel sandwich, it isn't quite as self-explanatory as say, the Baogel, but a detailed breakdown shows the January offering will be just as worth the trip to Black Seed as ever.